Dreaming is the cognitive state uniquely experienced by humans and integral to our creativity, the survival characteristic that allows for the rapid change and innovation that defines our species and provides the basis for our art, philosophy, science, and humanity. Yet there is little empiric or scientific evidence supporting the generally accepted dream-based theories of neuroconsciousness. 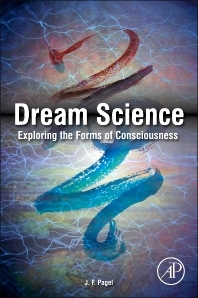 Dream Science examines the cognitive science of dreaming and offers an evidence-based view of the phenomenon. Today, such evidence-based breakthroughs in the field of dream science are altering our understanding of consciousness. Different forms of dreaming consciousness occur throughout sleep, and dreamlike states extend into wake. Each dream state is developed on a framework of memories, emotions, representational images, and electrophysiology, amenable to studies utilizing emerging and evolving technology. Dream Science discusses basic insights into the scientific study of dreaming, including the limits to traditional Freudian-based dream theory and the more modern evidence-based science. It also includes coverage of the processes of memory and parasomnias, the sleep-disturbance diagnoses related to dreaming. This comprehensive book is a scientific exploration of the mind-brain interface and a look into the future of dream science.